Central Environmental Surveys offers services in the fields of nature conservation, environmental management and ecological computing. In particular, the consultancy has extensive experience of Habitat surveying, Management planning, Ecological audit and Air photograph rectification and analysis. Development Constraint Analysis and post development monitoring. 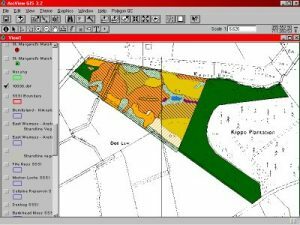 This allows satellite and aerial photography or design schematics to be draped over three-dimensional maps, then viewed from various angles for landscape evaluations. A square 1: 10,000 air photograph with edges of about 2.5km is stretched to conform to the topography by the orthorectification process. The central area is cropped and used as a tile in Arc View or other GIS. The resulting images are accurate to within 7 metres, allowing LBAP habitats to be mapped directly from the rectified coverage, whereas interpretation errors without orthorectification can exceed 150 metres. 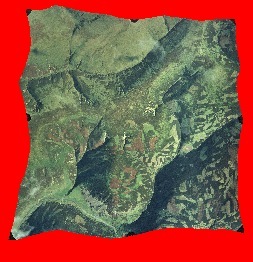 Air photo orthorectification and LBAP mapping of some 6,000km2 of Dumfries and Galloway. NVC habitat mapping and management briefs for the Ancient Woodland Resource of Stirling District. NVC surveys of grasslands, heaths, coasts and mires in Orkney, Mull and Sutherland. Design of NRA standard river corridor survey and river landscape assessment, Clackmannan. NVC / CORINE survey and analysis of bog woodlands in Scotland. A wildlife survey of the mainland and island estate of Historic Scotland with the production of management plans and briefs for sites. Section 50 management plans for private developers. Habitat surveys and production of an Urban Nature Conservation Strategy for Stirling District Council. Habitat mapping and production of reports for the Inverclyde section of the Lower Clyde Valleys Project. Habitat surveys and production of a Nature Conservation Strategy as part of the Kilpatricks Project. Wildlife survey and report for Edinburgh Green Belt Initiative (in conjunction with Cobham Resource Consultants). Habitat mapping, vegetation community analysis, research proposals and Management Plan for East Flanders Moss, Tentsmuir, Isle of May, Blawhorn Moss and Caenlochan National Nature Reserves.